I am well experienced Laguna Beach Photographer. I love photographing couples in and around this coastal city. Located between Newport Beach and Dana Point this stretch of beach is diverse with cliffs, tide pools and long stretches of sandy beaches. Also home to Divers Cove where scuba divers look for lobster and Garibaldi. View Christopher Todd's portfolio today. Sunsets in Laguna Beach are stunning all year round due to its Mediterranean climate. Take a stroll through the many art galleries on Pacific Coast Highway. You will find local artists displaying all types of unique paintings and sculptures. Did you know Laguna Beach is home to the Sawdust Festival and Pageant of the Masters. Both are worth checking out. Luxury beachfront venues like Montage Resort and Spa. You will also love The Ritz Carlton Laguna Niguel. Unique ceremonies can be held at Seven-4-One or Seven-Degrees. The beaches here are some of Southern California's most romantic locations. It's no wonder couples love taking portraits along the coast. Hiring a photographer for your engagement session has many benefits. One being we can arrange for your permit to take photos on the beach. Yes you need a city permit or there is a hefty fine. Don't let that scare you we are here to help. In addition to arranging the details we will also help you choose the perfect beach with the most scenic background. I consider myself a Laguna Beach Photographer for many reasons. One being that I have been working in this beautiful city for over 19 years. I am familiar with all the rules and regulations. This is important to know to have the best photography session. In addition, I know all the best portrait locations around town. Couples looking for an engagement photographer have come to the right site. We would love to chat. Just reach out to us today. 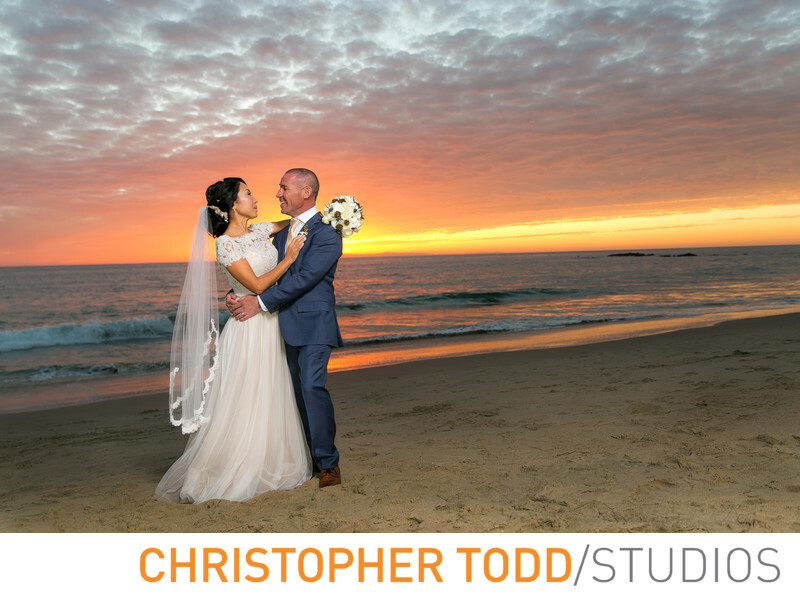 Our photography studio is a short drive from Laguna Beach.